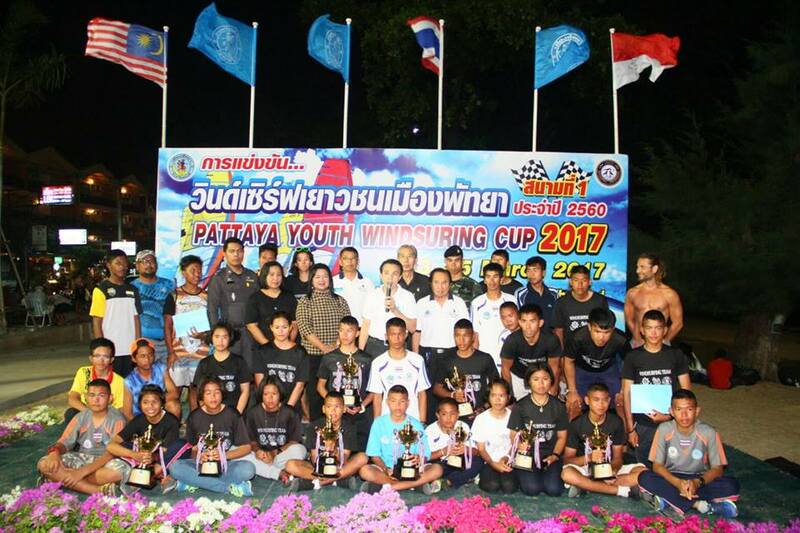 The Pattaya Youth Windsurfing Cup 2017 took place from March 3-5 off Jomtien Beach and drew young sailors from Indonesia, Malaysia and Thailand to compete for the top prizes. Kithisak Samit won the RSX Youths title while Boonlit Sung-gnuen took gold in the Big Techno 293 Junior class. The winners of the Junior (5sqm and 6sqm Sails) were Sutipong Khamchaidee and Ratchanon Hongbin respectively. Young sailors pose for a group photo at the completion of the Pattaya Youth Windsurfing Cup 2017. 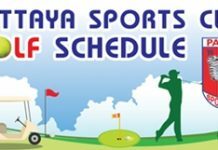 All winners concerned were presented with trophies by Seri Jampa-gnuen, director of Tourism and Sports Development and Saksit Yaemsri, Pattaya councilor, but there was no prize money on offer. The Windsurf Association Thailand believes this competition is a good opportunity for youths to sharpen up and develop their skills and allow them to prepare for the Youths Olympics, which are scheduled to take place in October 2018 in Argentina.